A rapid serve may not always equal Grand Slam success, but it’s a potent weapon for those looking to take achieve glory. It’s more than just a party trick for the best players – consistently scoring aces puts opponents under pressure, providing a real advantage. And, as tennis becomes more and more competitive, we’re seeing more and more players thumping aces on their way to victory. Throughout history, we’ve seen some real greats serve with power, but who are the fastest servers of all time? The fastest serve ever recorded in men’s tennis was delivered by Australian Sam Groth at the Busan Open Challenger Tennis event in 2012. But despite dispatching the ball at 263 km/h (163.4 mph), he still lost the match 4–6, 3–6 to Uladzimir Ignatik. The only other player to break the 160mph barrier was Frenchman Albano Olivetti, who delivered the ball at 257.5 km/h (160 mph) to rival Dušan Lajović in the first round of the Internazionali Trofeo Lame Perrel–Faip, also in 2012. Despite having such a powerful weapon in his armoury, Olivetti has never risen higher than No. 161 in the world. 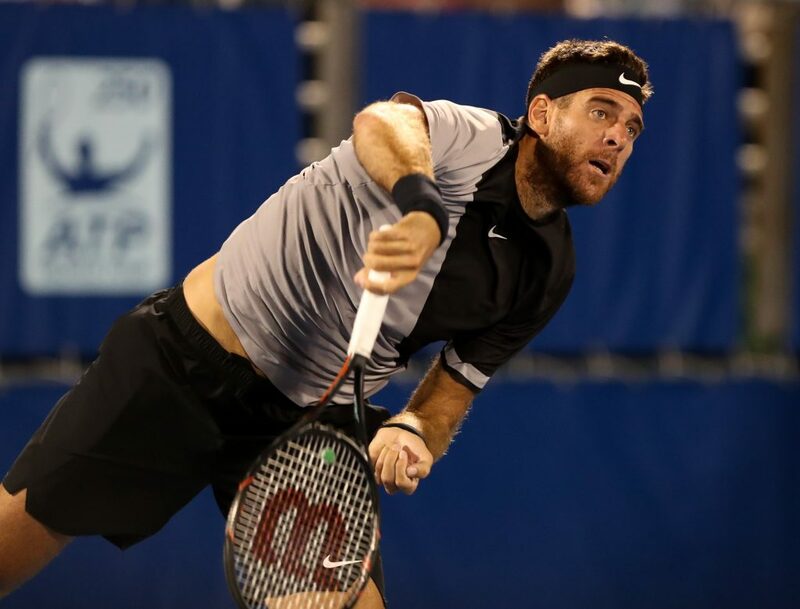 The honour of producing the fastest serve ever recorded in a pro tour final falls to Argentine Juan Martin del Potro, who clocked up a 240 km/h (149.1 mph) effort on his way to the Stockholm Open title in 2017. Meanwhile, in Grand Slam matches, the fastest effort was conjured up by Fernando Verdasco. The Spaniard sent the ball across the clay at 232 km/h (144.2 mph) in the 2009 French Open. Juan Martin del Potro serves to Frances Tiafoe. Notorious big hitter Jon Isner holds the record for the fastest ever serve in a Davis Cup match. The American recorded a speed of 253 km/h (157.2 mph) in his victory over Bernard Tomic. This is also the fastest serve to be formally recognised by the Association of Tennis Professionals. Of the big hitters mentioned, Isner remains the most consistent, with an ace ratio of 23% and first serve ratio of 79.4%. In the women’s game, the fastest ever serve was delivered by Spanish player Georgina Garcia Pérez, who drove the ball to 220.0 km/h (136.7 mph) in the 2018 Hungarian Open. That serve eclipsed the previous best of 210.8 km/h (131.0 mph), which had been held by German player Sabine Lisicki since the 2014 Bank of the West Classic. The fastest serve ever in a Women’s Grand Slam match was delivered in the 2007 US Open by Venus Williams. The American fired a 207.6 km/h (129.0 mph) towards Hungarian Kira Nagy in their first-round match. She also holds the record for the fastest serve in the French Open and Wimbledon. Her best ever serve was just 0.7 mph faster than her sister Serena’s most rapid effort, which was struck in the 2013 Australian Open. 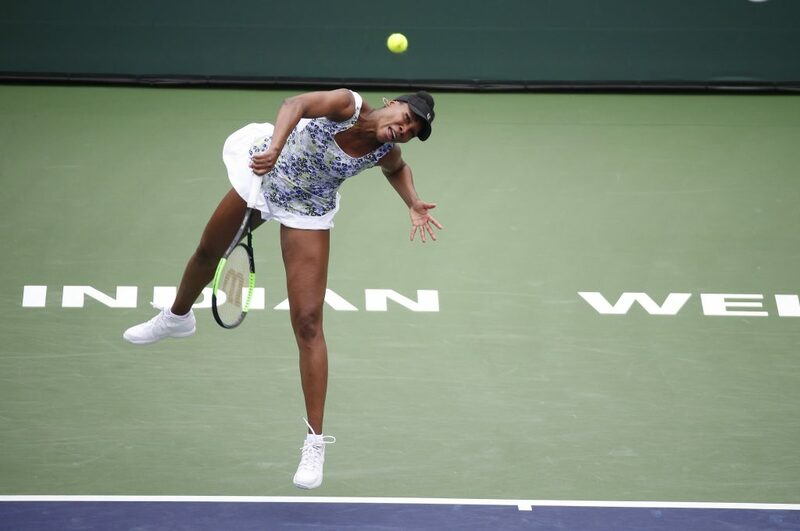 Venus Williams serves against Sorana Cirstea. However, with a 2017 ace ratio of 12.9% and a first serve ratio of 79%, it is Serena who has proved to be most adept at combining power and accuracy.